Manufacturer & Supplier of a wide range of products which include Solar Power Plants such as Rooftop Solar Power Plants and Commercial Solar Power Plants. We offering The off Grid Solar Power Plants from 0.5Kwp to 1000Kwp as per the clients needs. These systems works standalone even if you dont have electricity connections. Inverters we provide are very smart to manage the auto cut off, chnage over to grid or battery as per the need. The batteries we provide with these system are of two type Lead acid or Lithium Ion. Boths have warranty of 3 to 5 Years. Packaging Details: Corrugated 3 Layer Boxes with Thermacol & Bubble packing. 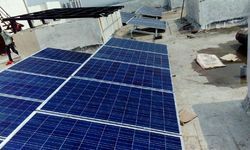 According to the variegated prerequisites of our customers, we are offering Solar Rooftop Power Plants that is in a perfect world utilized on roof of houses and structures which store sun oriented vitality for further utilize. Our highly experienced experts give best conceivable approaches to introduce administration and configuration the power plant according to the place in timely manner. Besides,our clients can avail the service with modified solutions according to their particular necessities. Packaging Details: Corrugated 4layer carton boxes with Thermoscol & Bubble packing. 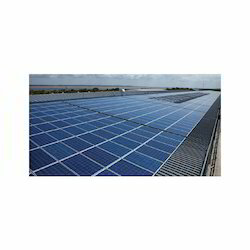 Our customers can avail benefit from us a far reaching range of Commercial Solar Power Plants. 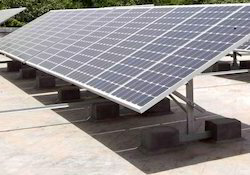 These Power Plants use solar energy for the creation of power results in a very cost-effective solution to our clients. Our Solar Power Plants are exceptionally refreshing by our customers. Our Solar Power Plant is produced using high-review aluminum material, which guarantees its long service life and high toughness. Packaging Details: Corrugated CARTOON Boxes with Thermcol & Bubble packing. It consist of PV Panels having Performance Warranty of 25 Year, Inverter Have warranty of 5 Year. Life is mre than 30 Years. All items are MNRE approved. Also, all these products suit Internatinal standards like IEC, CE, etc. Along with these systems we give HDGI or Aluminum Mounting structure which have life more than 50 years and have a very good strenth to withstand the heavy winds, non corrosive & rust free. Looking for Solar Power Plants ?